Another day, another vegan health movie... The impact of What The Health by Kip Andersen is tremendous. Every vegan Facebook group now has at least a few people who went veg because of this documentary. I spent a day watching it and reading up on the long list of sources on the WTH website. Despite having been vegan myself for almost five years and counting, this film made my inner scientist cringe. We need vegans to be knowledgeable about real nutrition research, rather than live in some fairy land where plants are a magical cure for every ailment, while all animal products will kill you. This is difficult stuff, so bear with me as I take you on a little trip through nutrition science. This review is a loose translation of the one I posted on my Dutch blog. It's especially relevant for the audience of this website because a large part of the film focuses on obesity and diabetes, which many of the readers here struggle with. Other good reviews were done by Unnatural Vegan, vegan dietitian Ginny Messina and Vox News. The film puts a lot of emphasis on the fact that the American Diabetes Organisation, the American Cancer Society and the American Heart Association are sponsored by the meat and dairy industry. This could definitely be one of the reasons that these organisations still to some extent promote various animal products, even though nutrition research has shown that a high consumption of these products increases the risk of heart disease and diabetes. On the other hand though, these organisations also promote a more plant-based menu (sources 1, 2, 3). The documentary presents the sponsor programs as an industry-driven conspiracy against American citizens, in which the government and farmaceutical companies are also implicated. I agree that the sponsorships are potentially quite harmful, but there's no need to invent conspiracy theories about it. However, whether you believe in the conspiracy or not doesn't really matter that much, since the rest of the film is mostly about nutrition science and can be judged independently. My biggest issue with What The Health is the way they attach far-reaching conclusions to only a few scientific studies. This is called 'cherry picking', selecting studies that fit your agenda, while ignoring contradicting research. You cannot draw reliable conclusions on the basis of only one or even a few studies like the film makers do. There are thousands of studies about nutrition and the results are all over the place. This is why it's important to look at science as a whole, and especially at the scientific consensus. Many vegan doctors such as Greger, Campbell and McDougall have a tendency to cherry pick their data and studies. This is why I prefer to look at large scale research overviews such as those produced by the World Health Organisation (WHO) and the Dutch health council (Gezondheidsraad). Many countries have similar independent government bodies that produce high quality nutrition information. It is very informative to look them up and read about their take on nutrition. These organisations have a much wider view of the research than individual doctors do, and they consult with many different experts for each field they write about. They are also starting to see that humanity is consuming an unsustainable amount of animal products, so their recommendations are becoming increasingly vegan-friendly. In addition I like to read the work of vegan dietitians Jack Norris and Ginny Messina from veganhealth.org and theveganrd.com. They represent a different type of vegan health professional and meet nutritional research where it's actually at, rather than cherry pick to make a vegan diet seem better than it is. Their rational and honest informative approach would have been a huge asset to What The Health. Cherry picking was also a problem in Cowspiracy, Andersen's previous film. There, it is implied that 51% of world-wide CO2 production is caused by the animal industry. This percentage was taken from a single rather problematic study. The general consensus supported by most research is, that it's probably closer to 15%. That's still a lot! (See here for detailed information: 1, 2). We don't need inflated statistics to prove that veganisme is good for the environment, just like we don't need cherry picking to prove that veganism can be healthy. I don't understand Andersen's need for exaggeration. His message would stand much stronger is he stuck with the scientific consensus. Veganism the only healthy diet? I like WTH's focus on the connection between diet and health. Many diseases that are common in modern society such as diabetes and heart disease are can clearly be linked to bad lifestyle choices. People do not exercise enough, smoke and drink too much alcohol. 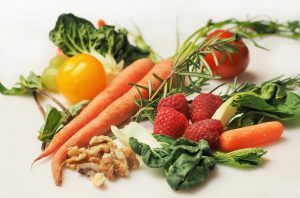 They also eat too much meat and refined carbohydrates and too little vegetables, fruit, whole grains, legumes and nuts. However, WTH steps way out of line by putting nearly all the blame for our health problems on animal products and presenting a vegan diet as the only healthy alternative. There isn't a whole lot of research on the health effects of veganism yet. (See here for overviews on diabetes, cancer, nutritional deficiencies, and other conditions). The studies cited by the doctors in the film are almost all about omnivores. Sometimes pescotarians and vegetarians are included, but research with vegan test subjects is still relatively rare. Many vegans are inclined to think that if a largely plant-based diet is healthy, a completely vegan diet must be even healthier! In my opinion this is wishful thinking. Eating plants is definitely good for you, but there is no proof that veganism is healthier than vegetarianism, pescotarianism or a plant-based omnivore diet with small amounts of animal products. There are some statements and theories about nutrition that are repeated over and over again in the vegan movement, even though they have long been refuted, or were never true in the first place. People so badly want our animal friendly food to also be the healthiest, that they are too accepting of pro-vegan nutrition information and refuse hear any criticism. WTH repeats many of these 'vegan myths' and even presents us with a few new ones that we will probably continue to hear a lot in the next couple of years. I'll discuss the most prominent ones below and examine how they compare the the scientific consensus. In the medical community there is a lot of discussion about diabetes, especially about the underlying causes and the best treatments. What The Health does not do justice to the complexity of this debate. The vegan doctors in the film claim a direct connection between diabetes and the consumption of animal fats and proteins. Their proposed cure is a low fat, high carbohydrate plant-based diet. A low fat diet is a proven treatment strategy for diabetes, but it's not the only one. There are also people who very successfully control their diabetes with a low carbohydrate, high fat diet full of animal products, or with a vegan low carb diet (which is what this site is about!). Meta studies show that in the short term low carb diets are just as effective as low fat diets for lowering body weight, blood glucose, bad cholesterol, triglycerides and blood pressure (a few references: 1, 2, 3, 4). Don't take my word for it (I might be biased after all), but check out the studies for yourself. More research needs to be done on the long term effects, but that's true for both low carb and low fat, especially the vegan variants of these diets. One of the biggest risk factors for diabetes is obesity (surplus body fat). What The Health puts all the blame for obesity on animal products, and claims that it is nearly impossible to gain weight from carbohydrates. This is clearly false. Carbohydrates are a source of calories. If you eat more calories than you burn, those calories are stored as fat (lipogenesis) and you will gain weight. There may be metabolic processes that cause people to gain weight more easily from some foods than from others, but roughly a calorie is a calorie, whether it comes from carbs or fats. Studies indicate that over-consumption of so called 'free' sugars like those in candy, soda and fruit juice contributes significantly to weight gain. That is why the WHO recently recommended to limit these free sugars to 5-10% of total calories (reference). This shows that it is definitly possible to gain an unhealthy amount of body fat from carbohydrates. In this way, a high carbohydrate diet can lead to diabetes, for instance if people consume a lot of sugar, syrups and fruit juice. According to the WHO every 50 gram portion of processed meat eaten daily increases the risk of colorectal cancer by about 18%. If the association of red meat and colorectal cancer is also proven to be causal (which the WHO says isn't yet the case), the risk of colorectal cancer could also increase by 17% for every 100 gram portion of red meat eaten daily. These figures are also cited in What The Health, but the film suggests that this makes meat just as damaging as cigarettes, even though the WHO statement clearly says that this is not the case. Both processed meat and cigarettes are classified as 'group 1 carcinogens', but the risks of smoking are many times higher than those of meat (reference). In addition the WHO indicates that it is not clear whether other types of meat also raise cancer risk. WTH tries to link almost every type of animal product to cancer, also milk. Again there is much cherry picking of studies that seem to confirm this, while contradicting evidence is selectively ignored. Below, I will summarize the conclusions of the UN Food and Agriculture Organization (FAO) and the Dutch health council to show the scientific consensus on the way milk affects cancer risk. These differ significantly from the statements in WTH. The FAO has written a long report about the effects of animal milk (mostly cow's milk) on public health. They conclude that milk consumption likely protects against colorectal cancer and that there is limited evidence suggesting that milk also protects against bladder cancer. There is also limited evidence that cheese is a cause of colorectal cancer. Diets high in calcium are a probable cause of prostate cancer and there is limited evidence suggesting that high consumption of milk and dairy products is a cause of prostate cancer. There was insufficient data to reach a conclusion regarding the relationship between milk and dairy products and breast cancer. Although the studies used by the FAO note that most diets that are protective against cancer are mainly made up from foods of plant origin, they do not see a need to recommend diets containing no meat or foods of animal origin (reference, page 156). The Dutch health council similarly concludes that dairy consumption is associated with a lower risk of colorectal cancer. The consumption of yoghurt also lowers the risk of diabetes. They do not see evidence for a relationship between dairy consumption and breast cancer (reference). Several doctors interviewed for WHT state that cow's milk does not help build strong bones. It is even suggested that milk causes osteoporosis because countries with the most milk consumption supposedly have the highest hip fracture rates. This theory has been refuted some time ago. Hip fractures are not a good indicator for osteoporosis. 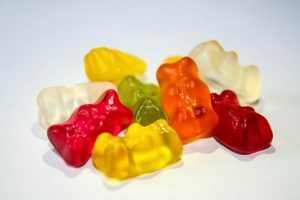 They are more strongly related to cultural factors that affect the risk of falling and ethnic differences in skeletal anatomy (see this post with references by dietitian Ginny Messina). In addition, the Dutch health council in a recent report did not find a conclusive association between milk consumption and hip fractures in women. For men there was insufficient data (reference). Cow's milk is a source of well-absorbed calcium, and as such it can and does contribute to the development of healthy bones. The FAO states in their report about milk that diets low in calcium are associated with an increased risk of osteoporosis (reference, page 128). This does not mean that people have to drink cow's milk. There are plenty of good vegan calcium sources like dark leafy greens, tofu with calcium sulfate and fortified plant milks. However, vegans can't just ignore calcium. It is important to consume a sufficient amount of the right foods on a daily basis (see Messina's nutrition primers for calcium and vegan bone health). One egg as bad for your heart as five cigarettes? This myth was new to me. WTH claims that eating one chicken egg a day increases the risk of cardiovascular disease as much as smoking five cigarettes a day. The source for this statement is one study. In the Netherlands we have a old children's Easter song that says 'one egg is no egg'. Similarly, one study is no study. In their report on eggs, which combined the results of numerous studies, the Dutch health council did not find a convincing relationship between eggs and heart disease. They did see a link between eggs and diabetes (reference). The egg and cigarette study has several limitations and on top of that is was completely taken out of context by the media, as often happens with nutrition studies. The British National Health Service felt the media's claims were so far fetched, that they dedicated a long debunking post to it on their website (reference). If you want to know more about it, I highly recommend their article. So what about other animal products? According to the WHO most studies do not show a correlation between dairy consumption and cardiovascular disease. Dairy (especially low fat dairy) could even lower the risk (reference, page 153). The Dutch health council agrees (reference). In their report on meat, the health council states that there are insufficient data to assess the effects of both white, red and processed meat on heart disease risk (reference). This is because it is very difficult to separate the effects of various factors in population studies. Correlation does nog necessarily imply causation. Along the way many spectacular claims are made in the film, like cheese being 'coagulated cow's pus'. Yes, there is pus in milk, about one droplet per glass, according to Dr. Greger. That sounds nasty and it is definitely sad for the cows, but it's not a danger to public health. Cheese consists largely of milk protein and fat. The statement that cheese is addictive because of casomorphine is also a wild exaggeration (reference). Cheese tastes good and that's why people are prone to eating too much of it, but actual cheese addiction is a myth. The popular vegan idea that humans are evolutionary herbivores (or 'frugivores') also gets passed around once again, including the obligatory images of our teeth and intestines. This is another example of the 'vegan knowledge bubble'. The majority of scientists has long since agreed that homo sapiens is a biological omnivore (see this explanation by a vegan biologist). With proper precautions, humans can eat completely plant-based, but historically our species always had a generally omnivorous diet with both plant and animal foods. To summarize we can says that What The Health has a number of problems, of which cherry picking is the biggest. Important facts are often twisted or ignored because they do not fit the film's perfect vegan picture. However, it's not all bad. The information about the spread of resistent bacteria and dangerous viruses seems to be pretty spot on. Antibiotic use and the extremely large numbers of closely packed animals in the industry are a danger to both human and animal health. The effects of the animal industry on the environment, especially deforestation and the pollution of oceans and land water are also a huge problem which the film documents well. However, I am missing some much needed information about what a super healthy plant-based diet should look like. That's what the last part of this review is about. A vegan diet can definitely be healthy, but if you exclude all animal products, there are a few things that require attention so you will still get all your essential nutrients. I feel WTH should have given this important info a bit more screen time. Vitamin B12 gets mentioned shortly, but no information is given about omega 3. Protein is also quickly dismissed as a non-issue. The film does not cover the bare basics needed to stay healthy as a vegan. The ideal is a 'whole-food, plant-based diet' with lots of vegetables, fruit, whole grains legumes, nuts and seeds. However, many vegans do not eat like that. French fries, Oreos and crisps are also vegan, you should only eat them in very limited amounts. Even if you do not eat junk food, some knowledge of nutrition and essential nutrients is still a must. Especially a diet of 'vegan whole foods' needs to supplemented with B12 in the right dosage, and attention is needed to insure sufficient intake of protein, calcium, vitamin D and omega 3, especially DHA. A popular statement that is repeated in the film is that you will automatically get enough protein if you eat enough calories. This is illustrated with rice and broccoli. However, the calculation as it is shown in the film is flawed. To get 50 grams of protein from rice you would have to eat 630 grams of it, which amounts to 2331 kcal. The recommendation for vegans is to eat one 1 gram of protein for every kilo of healthy body weight (reference). I weigh about 58 kg and would be lacking 8 grams of protein with that much rice, even though I exceeded my daily calorie requirement. Myth busted! It does work out the other way around. With 50 grams of protein from broccoli (over 4 pounds of it!) and 30 grams from rice (350 gram dry weight), you can get 80 grams of protein for a little under 2000 kcal. However, replace the broccoli by 7 bananas and you will be far below the requirement again, with only 37 grams of protein for 2030 kcal. So it's not true that you will 'automatically' get enough protein, let alone sufficient of all essential amino acids. It is not hard to get your protein on a plant based diet, but you do need to eat a few servings of things like legumes, tofu and seitan (see Messina's protein primer). 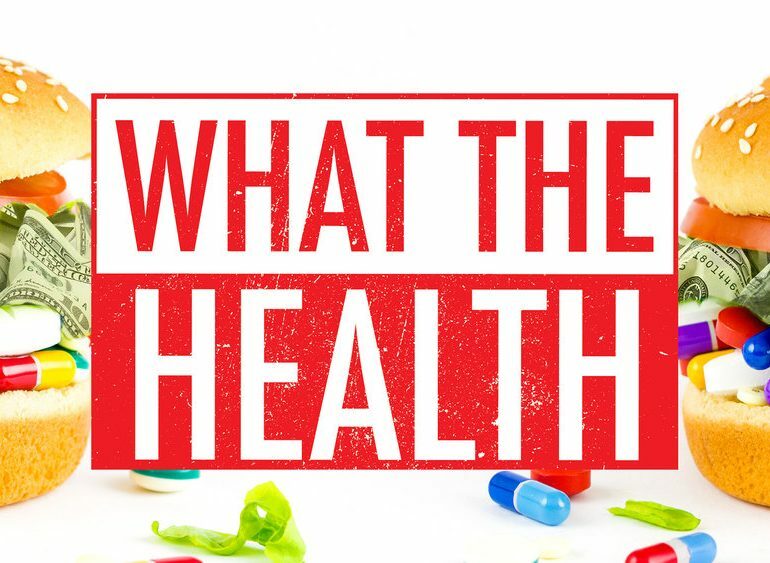 Despite the bad nutrition science and other problems, What The Health is a very engaging film that has already influenced a lot of people to change their eating habits. It's awesome that so many people are introduced to veganism and are inspired to eat healthier, but I wonder how they will do in the long run if they blindly follow the film's information. Will they get enough protein and calcium and will they take B12 supplements? Will they really start eating healthier or will they fall for vegan junkfood, fashionable fringe diets or even an eating disorder? How long will they keep it up? Changing your eating habits is hard, especially if you do not have good guidance and the results aren't as spectacular as the movie promised. How many of these people will end up as disappointed bitter ex-vegans? To me, the best arguments for veganisme are still found in ethics. I do it for the animals and the environment. Any health benefits are nice and welcome, but not guaranteed. Unfortunately, I know a lot of vegans who suffer from health problems (not because of veganism, but just because it can happen to anyone) and for them the health propaganda in WTH is particularly disheartening. It's as if they are doing it wrong. Veganism is supposed to be super healthy righ?! On the other hand their meat eating family members are waving chicken breasts in their face, because some meat will do you good! I think the vegan movement can be a bit more considerate to it's sick (and fat!) members. The health aspect attracts a lot of folks, but not everyone is comfortable with it. If you read all the way to the end of they horribly long post, thank you! I also owe thanks to the people who discussed the documentary with me and those who read previous versions. Whether you agreed with me or not, your contributions were stimulating. If you haven't seen the film, I wouldn't recommend it. If you watched it and changed your diet because of it, I am grateful on behalf of the animals! I hope you'll read up a bit more on the nutrition science of vegan diets and the ethical reasons for veganism. I should confess that I feel very much done with the film by now. The online discussions, the writing of this review and the translation into English have taken up a lot of precious time that I'd rather spend on positive stuff. Be kind to this skeptical vegan and don't bagger me with Dr. Greger videos and studies I need to read. By now, I've seen all the usual suspects and I'm not going to change my opinion based a few studies (cherry picking, remember). If you have anything really interesting, share it below. I'll also do my best to answer genuine questions if people have them. Thanks Rob! Greger is definitely better than many of the other doctors, but I still sometimes blink my eyes a few times when I see his videos. I think there should be B12 and omega 3 supplements in the daily dozen. Flax seed is nice, but it doesn't have DHA, which many people's bodies cannot make efficiently from the ALA they get from plant foods. That's great he added that to the daily dozen! Mushroom vitamin D is okay, but it is D2, which some people don't absorb well. I prefer the Vitashine vegan D3 made from lichen. Thank you Sarah! There are many people who live a generally healthy plant-based lifestyle, but nevertheless have to contend with health problems. You are definitely not alone. Hi JJ, thank you for your comment! It is definitely possible to eat low carb and vegan at the same time and eat well. Lots of people do it everyday. I am really busy with other stuff at the moment, but I will do my best to keep posting here at least somewhat regularly. When I saw this movie (not a documentary since most of it's really not based in fact) i was really horrified. It was full of misinformation, logical fallacies, misrepresentation of correlation and causation, body shaming, and hair brained conclusions based on little to no evidence. As a science based person, as a vegan, and as a feminist, I would never recommend this movie to anyone. I've gotten into a good number of debates with people who think every vegan claim is holy word.. but vegans need to adhere to good science just as much as everyone else. Thank you Heather! I feel the same way.